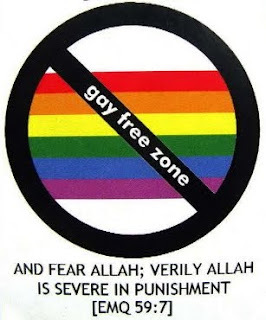 'Gay rights campaigners have urged mosque leaders in east London to ban homophobic clerics from using their premises, following a 21% rise in gay hate crime in the area. The Mosque is in denial, though this likely to be taqiyya for public relations purposes, as the Mosque has something of a reputation for being economical with the truth. 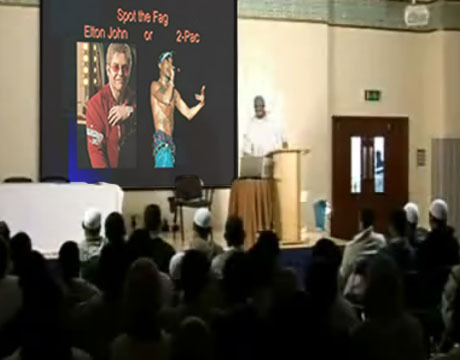 Of course kuffars entering sensitive urban zones in Europe have long suffered from the risk of unprovoked 'street jihad' attacks, there is no doubt that although many of these are simple random attacks against any vulnerable infidel, there is nevertheless a particular animosity against gays, and people merely perceived to be gay (encouraged by the Spot the Fag contest). "...Last year, a mob of 30 young Muslims stormed a local gay pub, the George and Dragon, beating and abusing patrons. Many customers of the pub told The Sunday Telegraph that they have been attacked and harassed by local Muslim youths. In 2008 a 20-year-old student, Oli Hemsley, was left permanently paralysed after an attack by a group of young Muslims outside the pub. Only one of his assailants has been caught and jailed. Is the Guardian developing harbitude? Although the right-wing Telegraph has been reporting on the deteriorating situation for gays in London for some time, it's encouraging to see that the Guardian, long considered a bastion of Britain's Islamic-Leftist alliance, is now beginning to acknowledge this problem. Nevertheless, the police and courts are still paralyzed by political correctness about Islamophobia (which trumps homophobia), and are reluctant to prosecute for fear of damaging 'community cohesion'. The Guardian has obtained a month-by-month analysis of homophobic attacks. It reveals that incidents in Tower Hamlets have risen by a third (33%) between April 2009-March 2010 and April 2010-March 2011, much more than the 21% widely reported in the media. 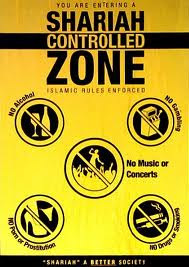 This comes as British Muslims are planning to implement 25 Shariaa controlled zones in British towns and cities. Much more about vicious Islamic homophobia here. There is no extreme Islam. There is no moderate Islam. There is only one Islam and it is pure evil . Because of political correctness and multiculturalism these followers of Islam can break the law with impunity and not be brought to book! This will be the UK`s downfall!! This barbaric ideology is turning the British Isles into a mediaevil, third rate hellhole! I think the government and police force have been mesmerized by this evil in our midst to allow this terrible ideology to flourish here! It`s happening in Europe too, they are taking over our societies and there is nobody to stop them! What will become of our children and grandchildren, it doesn`t bear thinking about! We appeased Fascism in the 1930s and look where that got us. 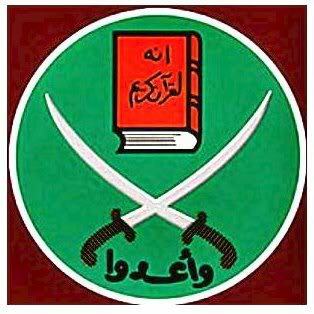 We are noe appeasing Islam and history appears likely to repeat itself.